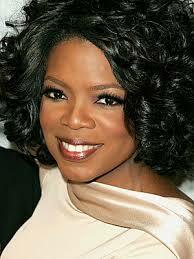 Oprah has one and it has shaped the careers of those she favours. And because of Oprah her audience is reading more than ever. And reading books they would never have chosen, broadening their horizons. I think one of the most important gifts we can give ourselves is feeding our brains (and often, our souls) through reading. So I got to thinking that if Oprah can have a book club, why can’t I? I am routinely asked what I’m reading or what I have read. To make it easy for everyone, I decided to start a book club. I’m no Oprah and the careers of authors are not likely to take off because of my recommendations. There is no requirement to read a book by a certain day and there will be no live discussion. I’ve simply created a web page called Book Club where you will find my reading list. I have quite the stack of books I’m itching to devour, not to mention the numerous books downloaded to the iPad Santa brought me. Since great book clubs generate thoughtful discussion you are welcome to share your comments and thoughts about anything I have read or am reading. I invite your book suggestions; the best reading adventures I’ve had were recommended by other readers. Finally, consider joining me in my quest to read more. Admittedly two books a week is quite ambitious for most people but think about how your life might change if you could read a book a month. In a year that’s 12 more books than you read most years. You will be amazed at how much easier it gets to read more if you simply begin to read more.